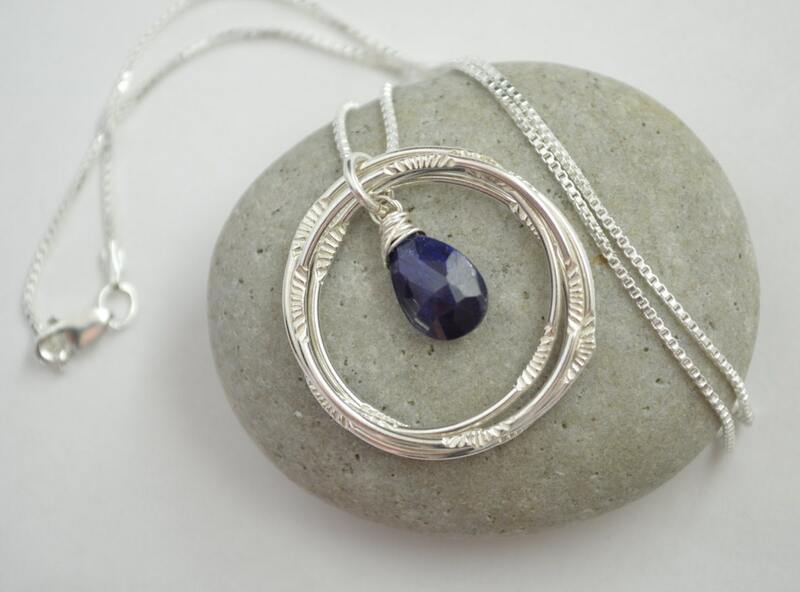 Sapphire is a stone of protection and prophetic wisdom, a wondrous crystal that can watch over human destiny. It is believed to promote joy, faith, hope and protection during long journeys. 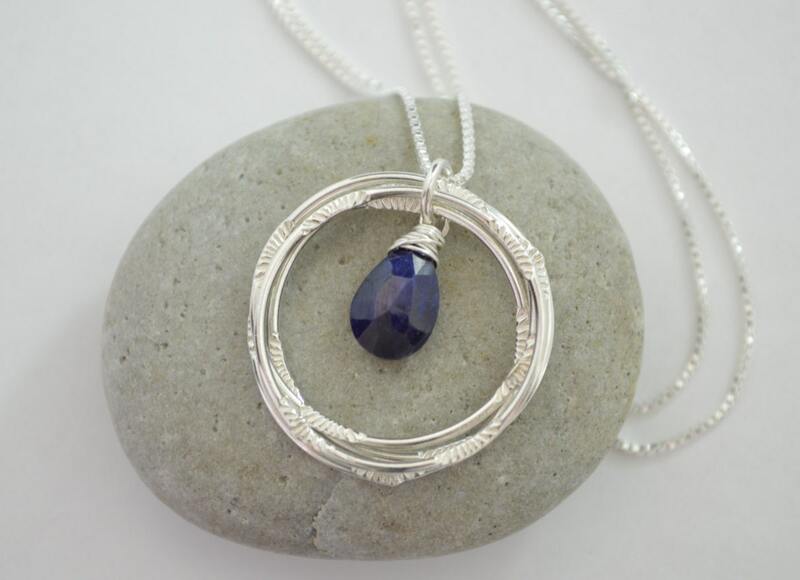 It brings light and peace and opens the mind toward beauty and intuitive understanding. 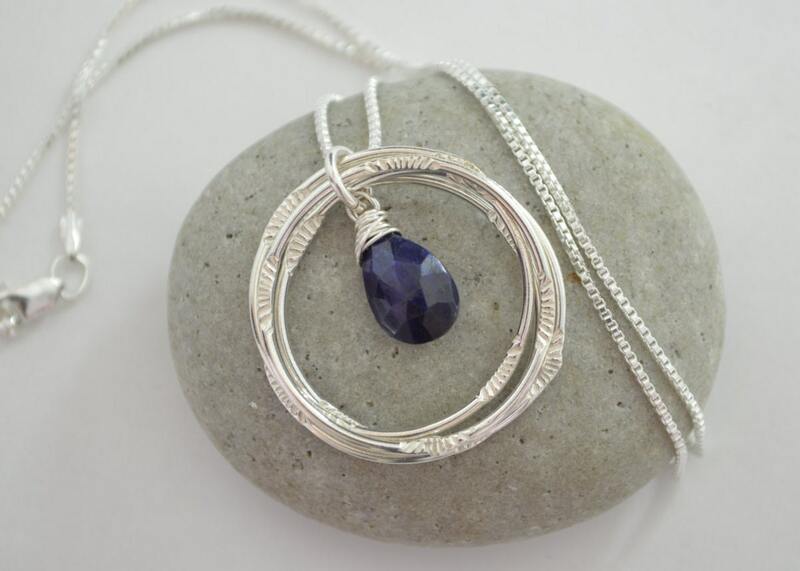 This beautiful design includes 4 circle silver necklace with a dark blue sapphire quartz in the middle. The circles and the chain are made of silver. Perfect to be used on any occasion. Could be used dressed up or even a little dressed down. Makes an "à propos" gift to celebrate 3 something (decades, friends, sisters, children) or a combination (2 children and a husband, 2 girls 1 boy)! I bought this for my daughter in laws 40th. birthday and she loved it. It was just as described. I recommend this as a very nice gift for their 40th birthday.